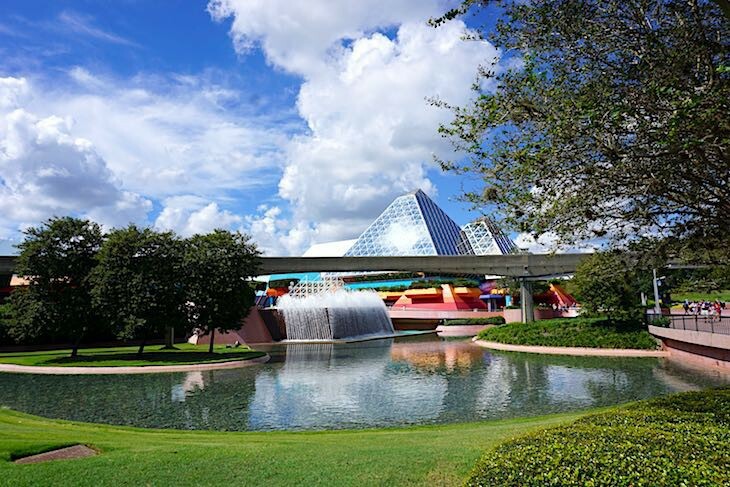 At Future World visitors encounter shining glass pyramids, choreographed fountains, shimmering steel, unconventional landscaping, and towering above it all Epcot’s symbol, Spaceship Earth. Here visitors learn about communications, energy, innovation and technology, agriculture, transportation, the oceans, space, even their imagination. If it sounds a bit like school don’t worry. Disney always manages to add its special style to the learning process, transforming it into sheer fun for all ages. 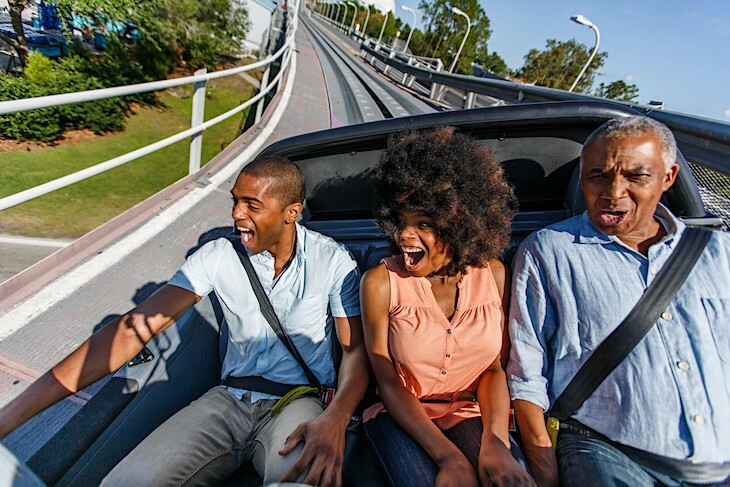 Those with motion sickness can opt for a less intense version of the ride. Inside is an attraction chronicling the story of human communications. Get in the single riders line to save time, but don't expect to ride with other members of your party. 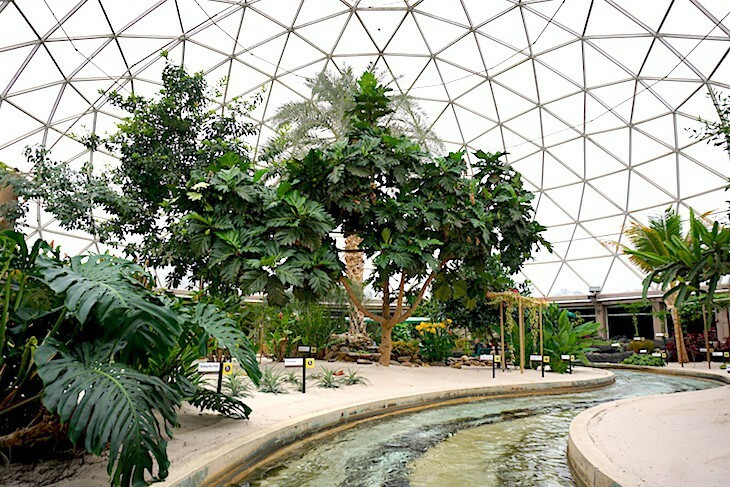 A kid-friendly Nemo ride combined with an amazing 6-million gallon aquarium. Your capsule that will rocket you into space. 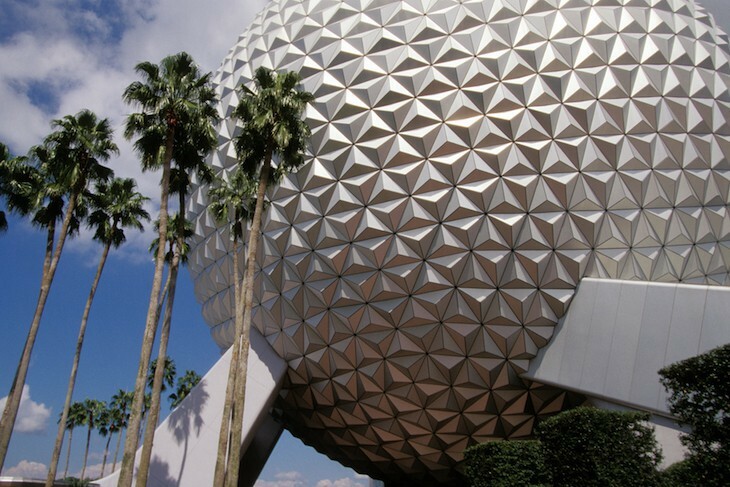 Visible for miles this symbol of Epcot comprises more than 2 million cubic feet of expanse; a silver geosphere 180 feet tall and 164 feet in diameter composed of 954 glowing panels of various shapes and sizes. Inside, the attraction chronicles the story of human communications beginning with the dawn of recorded time. The slow journey to the top takes visitors through marvelous Audio-Animatronics scenes representing humankind’s quest for more efficient means of communication. Narrated by Judi Dench, you’ll see Cro-Magnon storytellers, Egyptian papyrus scroll readers, ancient Greek actors, Roman couriers, Islamic scholars, even Michelangelo painting the Sistine Chapel. Following in swift succession are the new tools and technologies of the Teletype, Telephone, Radio, Moving Pictures, and Television, then giant-size versions of the first computers, the birth of the first personal computer, and a tech tunnel. The most captivating scene is found at the top of the sphere where, in the middle of a sky thick with stars, the earth sits suspended in space. The finale utilizes touch-screens that enable guests to create their own funny vision of the future. 15-minute ride. Following in swift succession are the new tools and technologies of the teletype, telephone, radio, moving pictures, and television. Fun new scenes include giant-size versions of the first computers, a garage showcasing the birth of the first personal computer, and a tech tunnel. The most captivating scene is found at the top of the sphere where, in the middle of a sky thick with stars, the earth sits suspended in space. The finale utilizes touch-screens that enable guests to create their own funny vision of the future. Cara's Tip: Lines move quickly and efficiently on this continually loading ride. Because this is the first attraction visitors encounter lines can get lengthy in the morning. If the wait looks reasonable, go for it; if not, come back in the afternoon when most people are touring World Showcase. This attraction is usually up and running a half hour before official park opening time. The year is 2036. 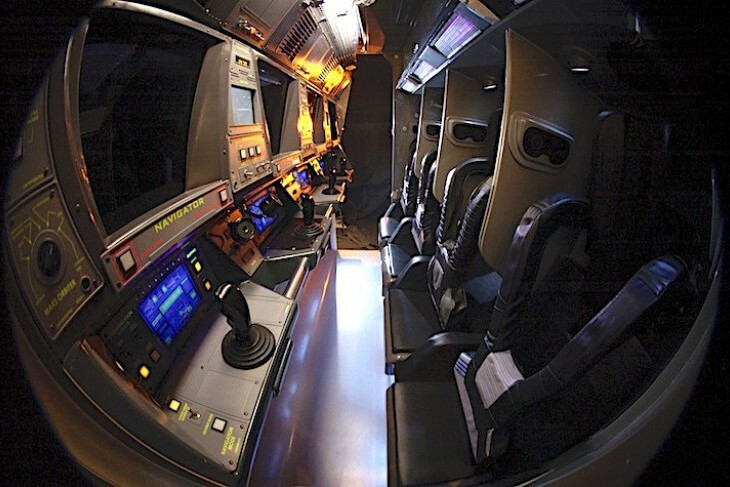 You’re off to Mars in an X-2 Deep Space Shuttle with a team of four—Commander, Pilot, Navigator, and Engineer. As the engines rumble seats tilt back in preparation for countdown and then a WOW of a liftoff! Experience the heart-palpitating, G-force thrill of rocketing into outer space through clouds of exhaust. As you peer out the window into a computer-generated imagery of space panic sets in. But after the first thirty seconds or so you’ll settle down for the ride of your life with a brief sense of weightlessness, a slingshot maneuver around the moon, and one heck of a landing on Mars. What a rush! Afterward head to the Advanced Training Lab where you can further your space training in a rocket race from Mars to Earth. 4-minute ride with a short pre-show. Minimum height: 44 inches. Single Rider attraction. An adult must accompany children under the age of seven. This is a highly turbulent motion simulator ride and not recommended for expectant mothers or those with high blood pressure, back, heart, or neck problems, motion sickness, or other conditions. Cara's Tip: Those who want a milder alternative to this somewhat disconcerting ride may choose a less intense version by entering the “green” line, one that eliminates the spinning centrifuge. IIn a six-passenger vehicle riders move through a series of rigorous tests normally used on prototype cars. 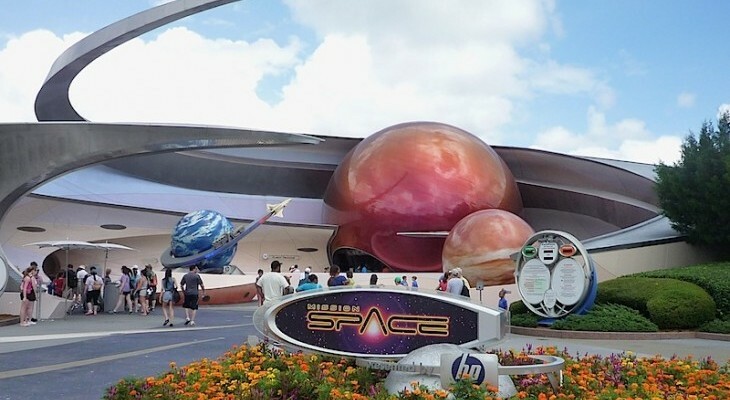 Completely redesigned, the attraction has a much more high-tech feel than its previous incarnation with all-new exhibits, videos, and interaction areas in the queue, each pertaining to the design process. Begin your journey at the Chevrolet Design Studios where you’ll have the chance to design and customize your very own concept car on a touch pad kiosk, something you will use in various capacities throughout the rest of the attraction. Then board your six-passenger Sim car and proceed through a futuristic darkness with high-tech lighting for a series of tests and scans including the rigors of off-road driving and extreme weather challenges, responsiveness, and automated crashes, ending in a long-awaited power test where you will barrel outside onto a high-speed banking loop at more than 60 mph. It’s quite a ride, not really scary but fast and absolutely loads of fun! Five-minute ride with a short pre-show. Minimum height: 40 inches. Single Rider attraction. An adult must accompany children under the age of seven. Not recommended for expectant mothers or those with back, heart, or neck problems. Closed in inclement weather. Cara's Tip: If you are willing to ride without other members of your party, the single rider’s line is a much quicker alternative; simply ask for directions at the entrance. Explore the past, present, and future of farming on a boat tour through three diverse ecosystems: a stormy rain forest; a harsh, arid desert landscape; and the rolling American prairie complete with an early nineteenth-century family farm. Then proceed to immense greenhouses where more efficient and environmentally friendly ways of producing food are researched and developed. You’ll see exotic to everyday plants grown hydroponically (without soil), even trees with 9-pound lemons! Much of the attractions’ produce and fish is used in the The Land’s restaurants and the BoardWalk’s Flying Fish Café. Work is also done here in conjunction with the US Department of Agriculture. This is remarkably absorbing attraction for all ages. Cara's Tip: At lunchtime the overflow from the food court produces long waits so pick another time to visit. 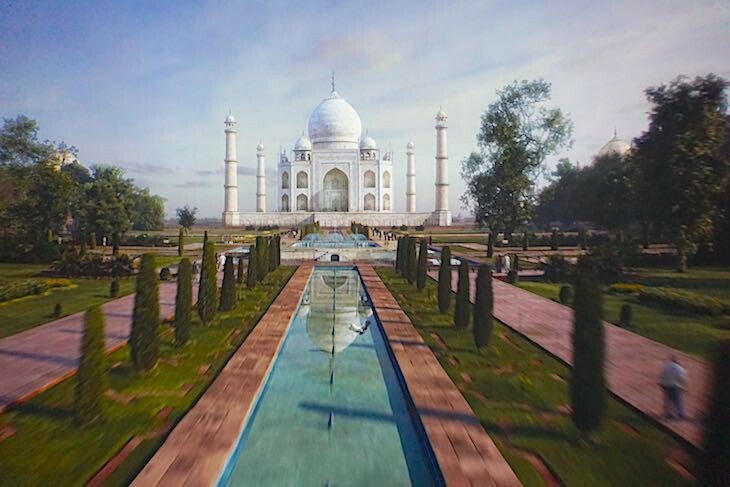 After rising 40 feet inside a 180-degree, 80-foot IMAX projection dome, you’re completely surrounded with an exhilarating international adventure round the world. Soar above the majestic Great Wall of China, Switzerland's Matterhorn, Egypt's Pyramids, the Taj Mahal, Iguazu Falls in South America or the spectacular Sydney Harbour, experiencing the joy of hang gliding. This is one fantastic ride! Cara's Tip: Ask for the first row and the middle of the theater, section B1; if you are relegated to the sides of the theater the image distortion is very noticeable, to the point where the top of the Eiffel Tower, for example, was bent in half. And if you are not in the first row you’ll be a bit distracted with the dangling feet above you. 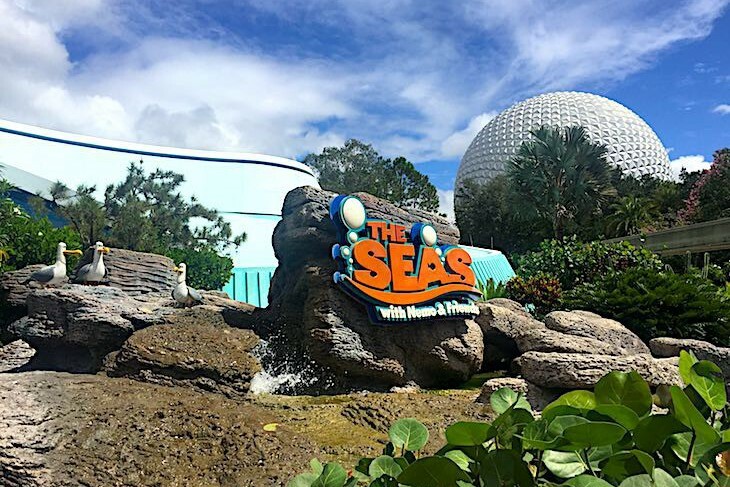 This attraction is a winner, combining a kid-friendly ride with Epcot’s 5.7-million-gallon aquarium filled with more than 2,000 sea creatures. The queue winds through a seashore setting that gradually transitions to a dark underwater theme before boarding your “clamobile” that slowly moves through animated projection scenes under the ocean. Nemo has wandered off again from his teacher, Mr. Ray, and everyone is in search of him in the “Big Blue World”. Meet up with Nemo’s dad and his friend Dory, check out the larger-than-life ultraviolet jellyfish, and travel through a fast-moving-current tunnel with sea turtle Crush, finally ending up in front of the pavillion’s massive aquarium. In Sea Base don’t skip Turtle Talk with Crush, a fun show starring the surfer dude turtle interacting in a full-blown conversation with the audience. Then play in Bruce’s Sub House’s hand’s-on area featuring the Nemo characters. 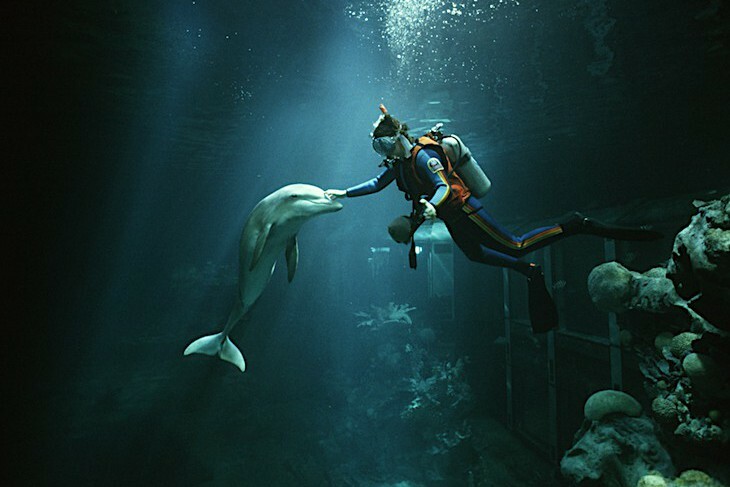 Other attractions include fish feeds, dolphin presentations, educational talks by the research team on the Observation Deck, and, my favorite, the fascinating Marine Mammal Research Center where manatees reside.